Paying people right made easy with a wide range of seamless integrations with all major payroll systems. 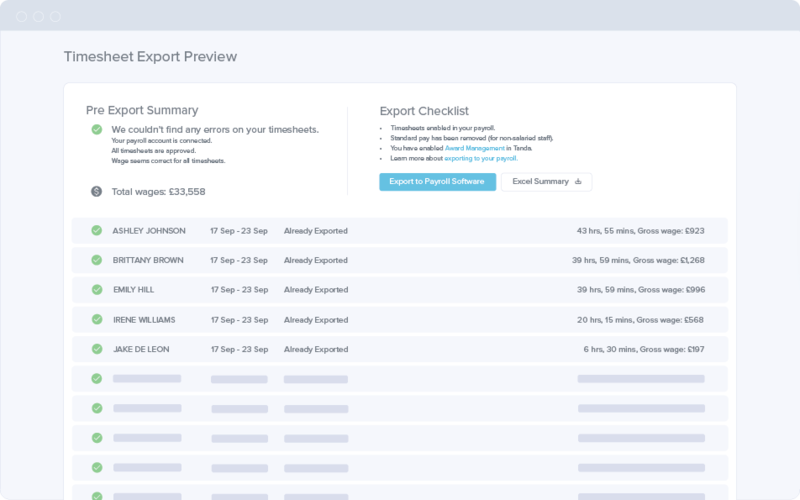 Export in a single click to over 50 payroll systems. 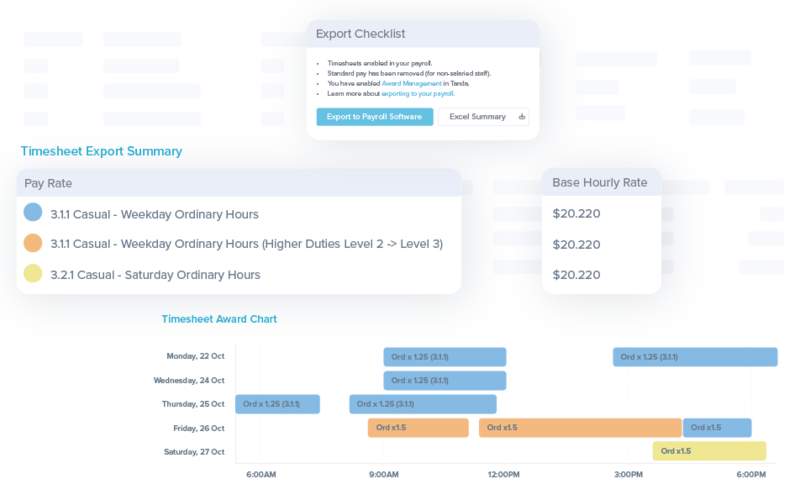 Tanda exports workforce data, timesheets and pay rates to your existing payroll system. Tanda exports all timesheet and wage data to your payroll system to avoid any costly data entry errors. 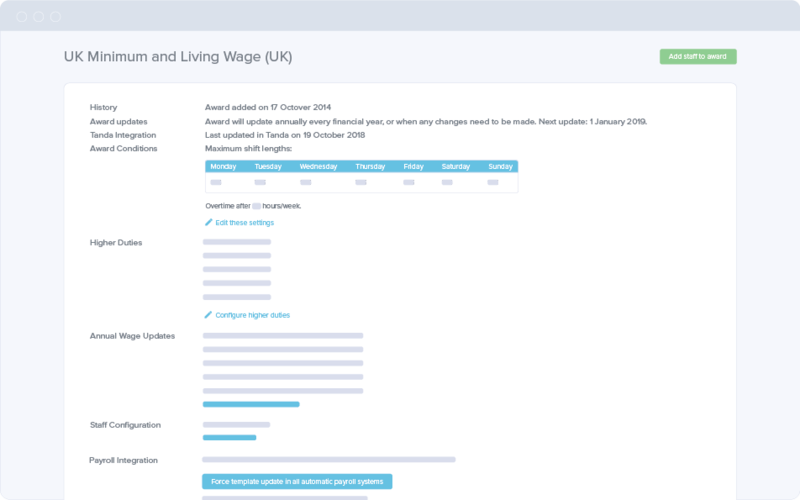 Tanda automatically matches payroll items in your payroll software, making it easy to manage and track wage costs. Tanda's robust award interpreter automatically breaks down your timesheets and calculates each employee's gross wages, saving you time and reducing errors. Save time with our one-click payroll integrations that automatically push approved timesheets from Tanda to your payroll system for fast and accurate processing of pay runs. 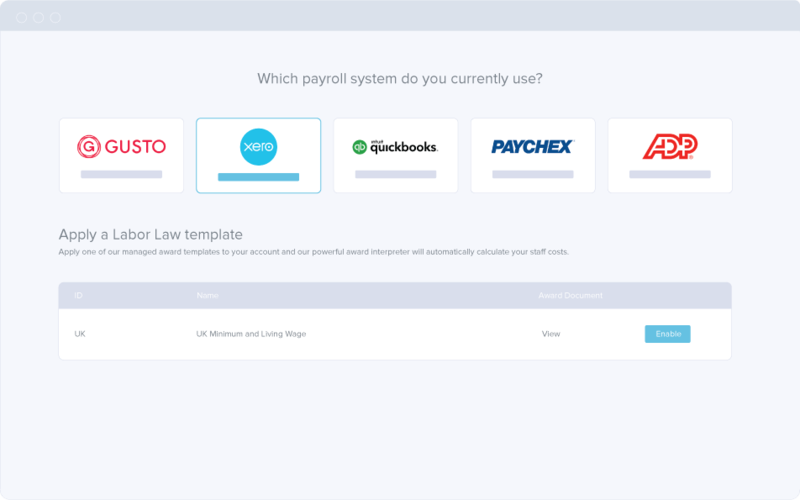 Reduce admin time and improve reporting with our integrations that automatically create and update pay items in your payroll system to match the relevant union contract or labour laws. Have peace of mind that staff are paid correctly. Let Tanda create and manage employee pay rates with automatic updates and multi-directional sync when labour laws change, staff have birthdays or get promoted. 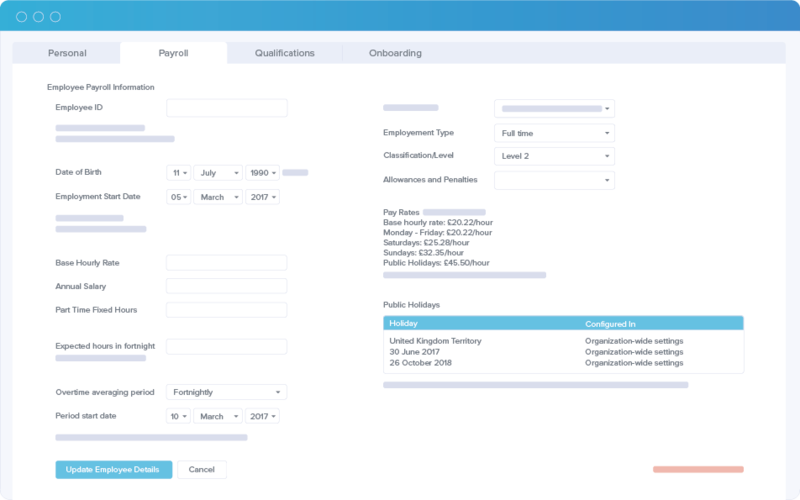 "I have used lots of other payroll software and I have found Tanda and Xero to be extremely user friendly and simple to complete a payroll."